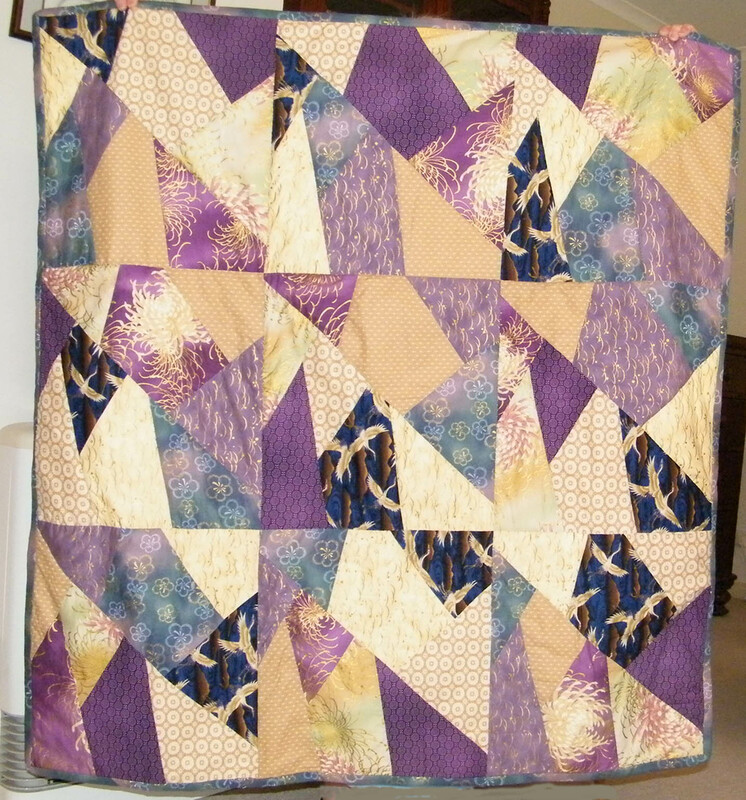 Noelene from our Friday group made a Stack n Slash quilt last week. This time her pieces of fabric were smaller than fat quarters so she used more than one stack to get a suitable size quilt. 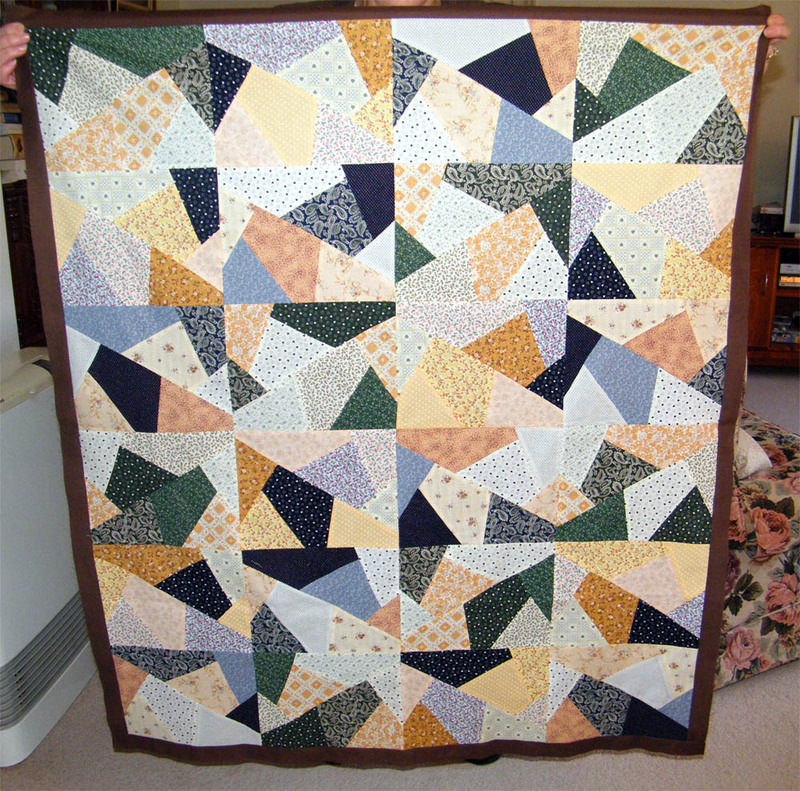 But when I saw this it reminded me that I had done a similar quilt with fat quarters earlier in the year but the quilting was not quite finished and it needed binding. So that kept me occupied for part of the weekend and now I have one less UFO. A good feeling. They look great. I have never tried one of those designs.